We’re stoked to premiere the new single from local power-pop trio Slush - bursting with clever hooks while still packing a punch, ‘Keep Cup’ is a blast of sugary garage-punk and a playful ode to the menstrual cup. Following on from the release of their anthemic debut single ‘Middle Name’ earlier this year, ‘Keep Cup’ sees Slush showing off a few more elements of their sound while reminding us why their breakout track was so solid. Beginning gently with a charming melody over a jangling guitar, ‘Keep Cup' quickly explodes open with some skuzzy power chords backed by a propulsive rhythm section. We’re immediately sucked in by Acacia Coates and Scout Tester's spirited vocals, which somehow manage to fall into perfect harmony while still feeling a little rough around the edges, and every hook they deliver comes matched with a witty lyric that is both cheeky and enlightening. Following a crafty tempo shift, Slush move into a glorious power-pop break complete with a tasteful "woo", before things shift again and the track rockets off from underneath us, powered by some feverish drumming as the guitar and bass meld into a wall of fuzz. Speaking about the track, Slush explain, “‘Keep Cup' is a cheeky ode to menstrual cups - we love a good song about periods. We wrote it when we decided to try the cup for ourselves and discovered the many benefits they behold, but we were shocked that it had taken us until adulthood to learn about them. Too often menstruation is still considered a taboo topic socially, so we wrote ‘Keep Cup' to combat this and put some positive period vibes out there. We hope it inspires people to switch to the cup! We're pretty sure it's the menstrual cup love song you never knew you needed." We've gotta say, it definitely is. 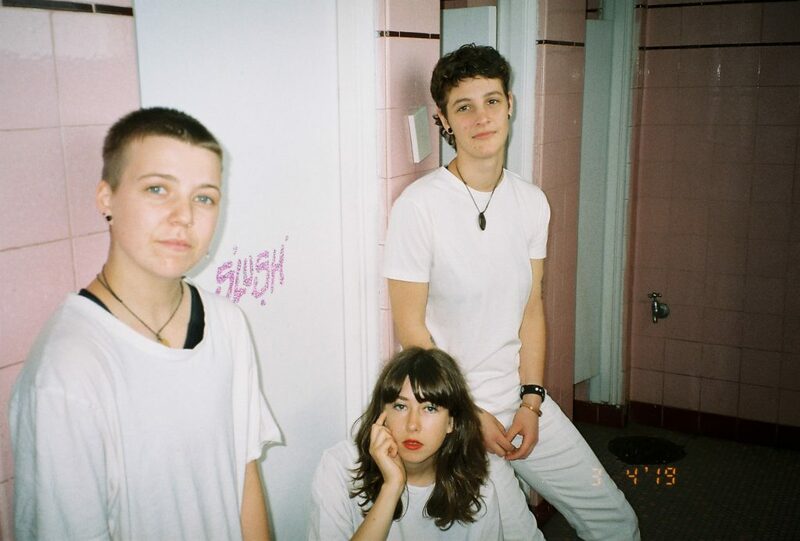 Slush are releasing their debut EP on May 10th via Hysterical Records, and launching it at The Old Bar on May 25th. If you can’t wait that long to witness ‘Keep Cup’ in all its glory, you can catch Slush tonight at new Melbourne venue Globe Alley with Meat. Have a listen to 'Keep Cup' above, and head to slush-band.bandcamp.com to pre-order the new EP on cassette or digitally, before it drops on May 10th.